Dogs today are much more active. If your dog works hard or plays hard all day their needs differ from the rest of the pack. Whether you have a service dog, or champion performer, they require more nutrients (fuel) than other dogs. 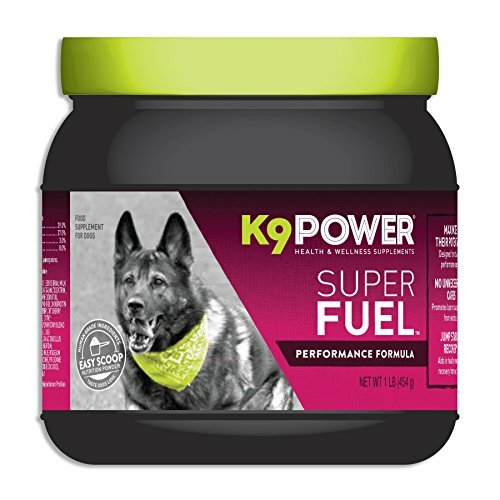 K9 Power Super FuelTM was designed to meet the nutritional needs of today's active dogs with a performance formula that supports skeletal stability and lean muscle formation. Super Fuel TM further meets the needs of active dogs by promoting healthy endurance while aiding in recovery. Maximize Their Potential - Formula specifically designed for high performance dogs. No Unnecessary Carbs! - Promotes lean muscle growth from exercise. If you have any questions about this product by K9-Power, contact us by completing and submitting the form below. If you are looking for a specif part number, please include it with your message.